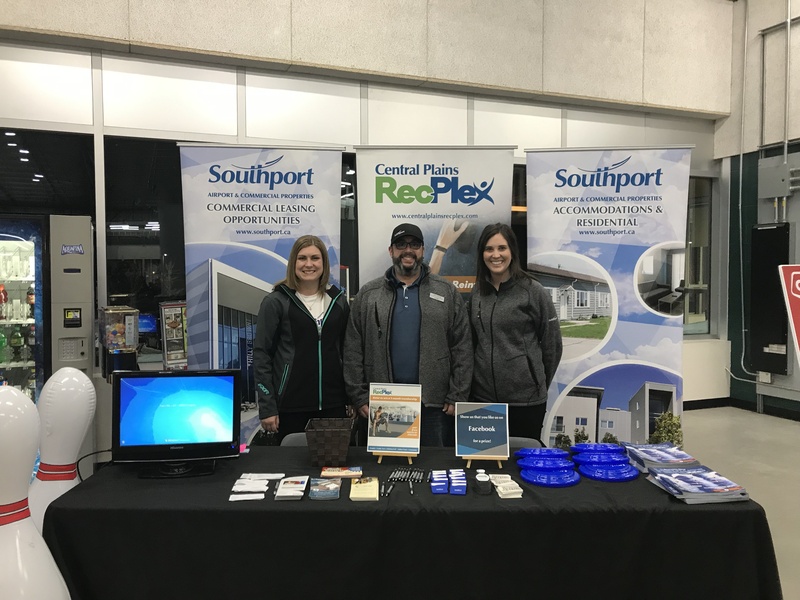 Southport and the Central Plains RecPlex sponsored the Portage Terriers game on January 30th. We gave away frisbees, pens, phone card wallets, Southport bowl magnets and tattoos to everyone who came and visited our table. During the first intermission a competition of musical bowling pins entertained the crowd and was held on the ice. the winner received a coupon for Southport Bowl for two hours of bowling in one bowling lane, including shoe rental, and a $50 coupon for the food kiosk at the RecPlex. The three runner ups received Shaker Cups, frisbees and towels from the RecPlex, as well as a coupon for a free drop in at the RecPlex gym. There was a draw for a one-month gym membership, which Megan Elias was the lucky winner of. A great night of hockey was topped off by a strong comeback and a win from the Terriers. Good luck to the Terriers for the rest of the season and throughout playoffs. Terriers Rock!